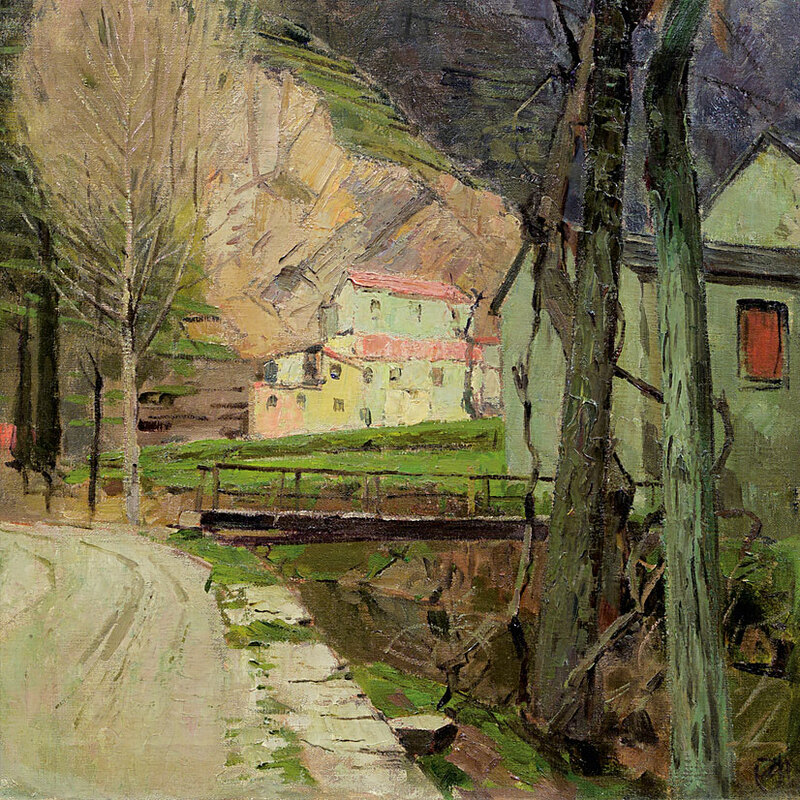 Born on the 23rd of April 1861 in Vienna, Carl Moll is undoubtedly one of the most exceptional talents of his time. 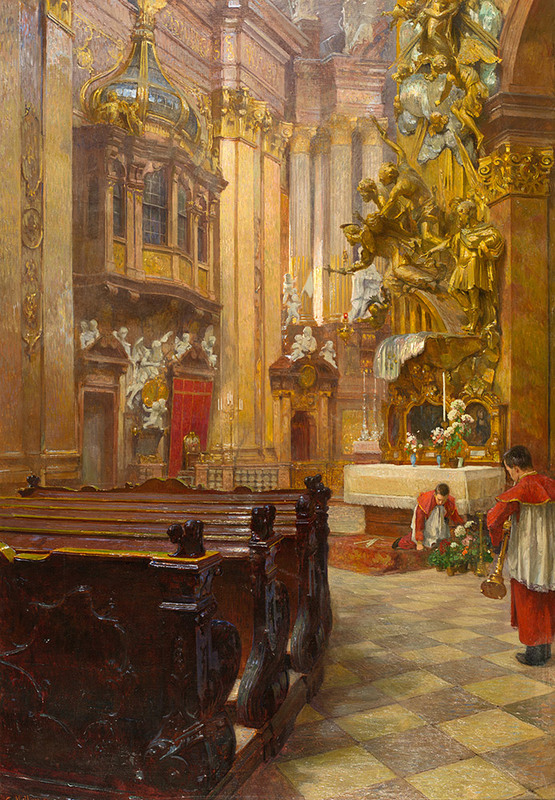 His complex oeuvre shows all his facets - the recurring motifs of his hometown, Vienna, the light-filled landscapes, still lives, and interiors. He was co-founder of the Vienna Secession and director of the gallery Miethke and also a supporter of Klimt. He organized exhibitions of international artists and brought the first works from Vincent van Gogh to Vienna. 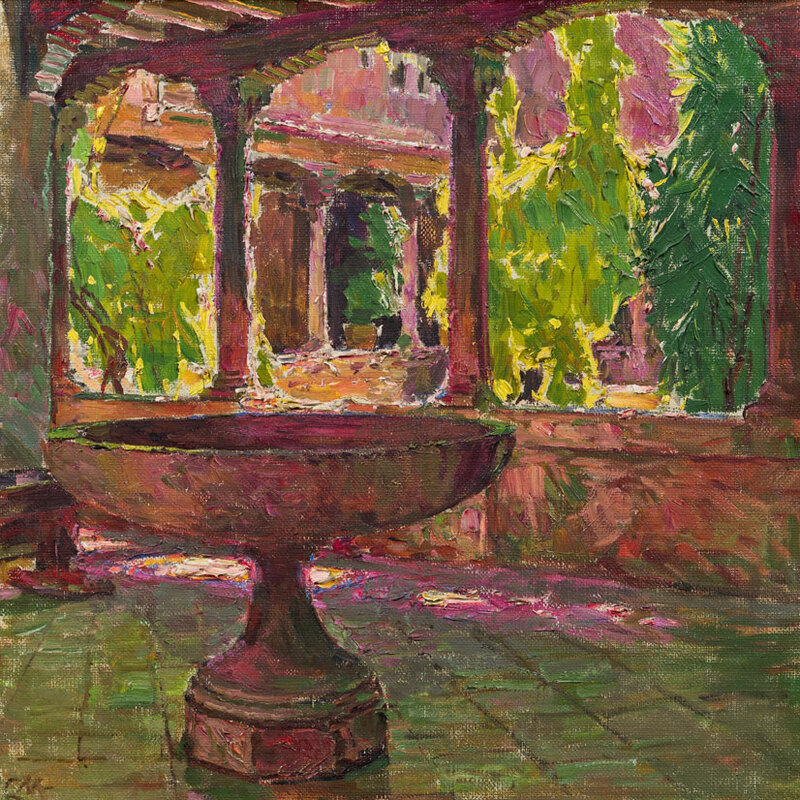 Moll became known for his large-format color lithographs and woodcuts. 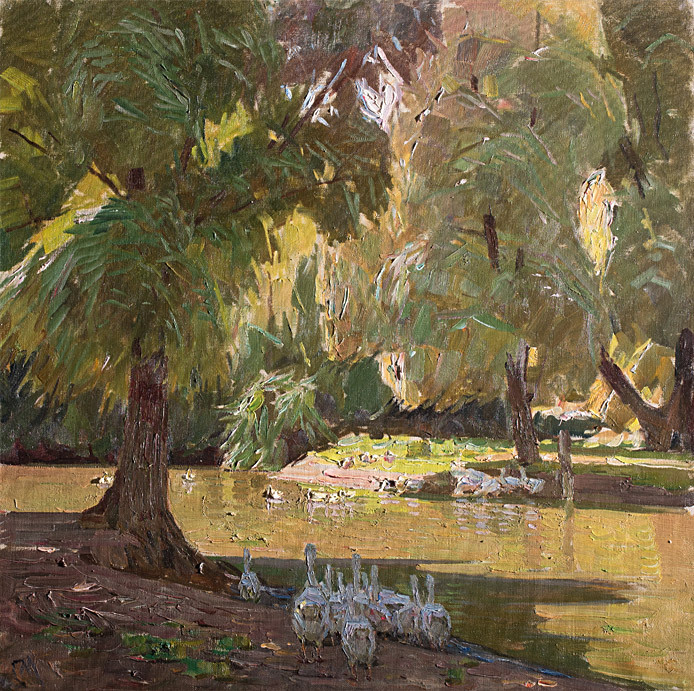 The style of his later landscapes transformed increasingly from the planar painting of the secessionists to spaciousness. Later he turned more and more to Expressionism. In 1931 he received the Golden State Medal and became an honorary citizen of Vienna, where he also died on April 13, 1945. In our broad portfolio, we combine different works of the Viennese artist. On one hand, we see these treasures as a highly attractive offer for collectors, whose motive is not speculation, but passion. On the other hand, it is also a tribute to the great work of this great Austrian artist, who has fascinated us for years. We are not the only ones who are fascinated by Carl Moll. His works are shown in numerous museums such as the Historical Museum, the Leopold Museum in Vienna, the Neue Galerie in Joanneum Graz, the Szépmüvészeti Múzeum in Budapest, the Staatliche Kunstsammlung Dresden, and the Van Gogh Museum in Amsterdam. 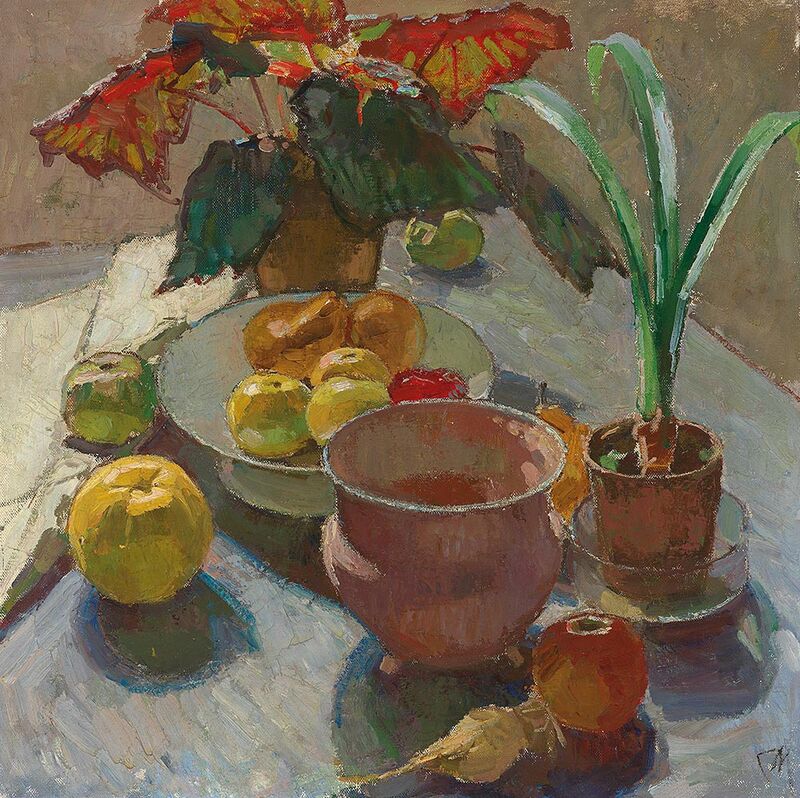 Some paintings are part of famous collections, such as the Essl / Klosterneuburg Collection, the Dichand Collection / Vienna Collection, the Vera Eisenberger / Vienna Collection, and the Austrian National Bank. 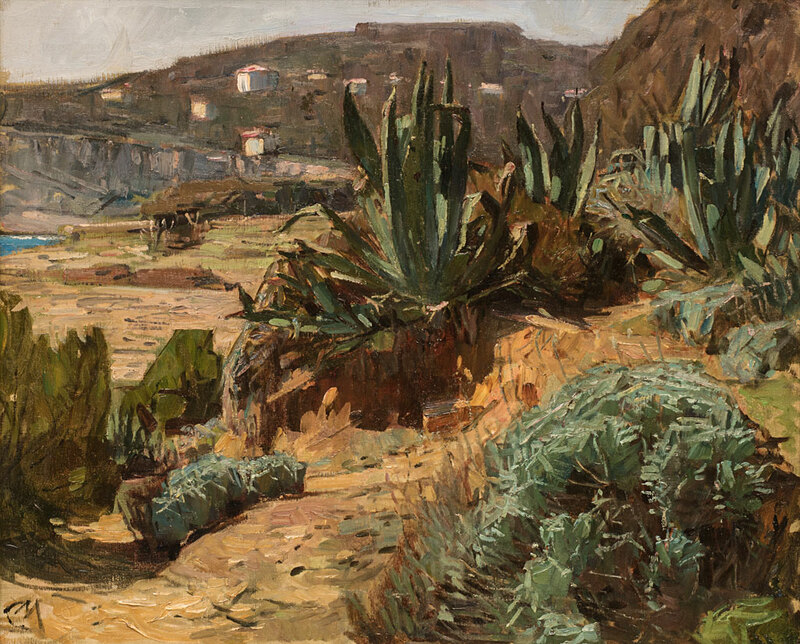 This is why we are delighted to be able to offer the works of this master to expert circles and passionate collectors, whose intention to acquire a Carl Moll goes far beyond a purely speculative idea. 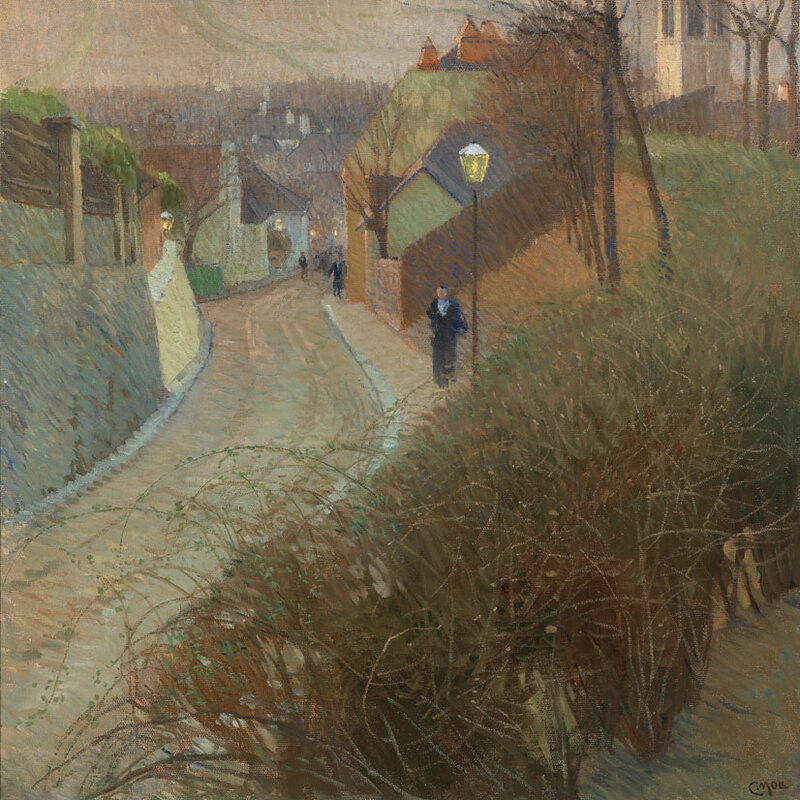 Carl Moll was born on the 23rd of April 1861 in Vienna. 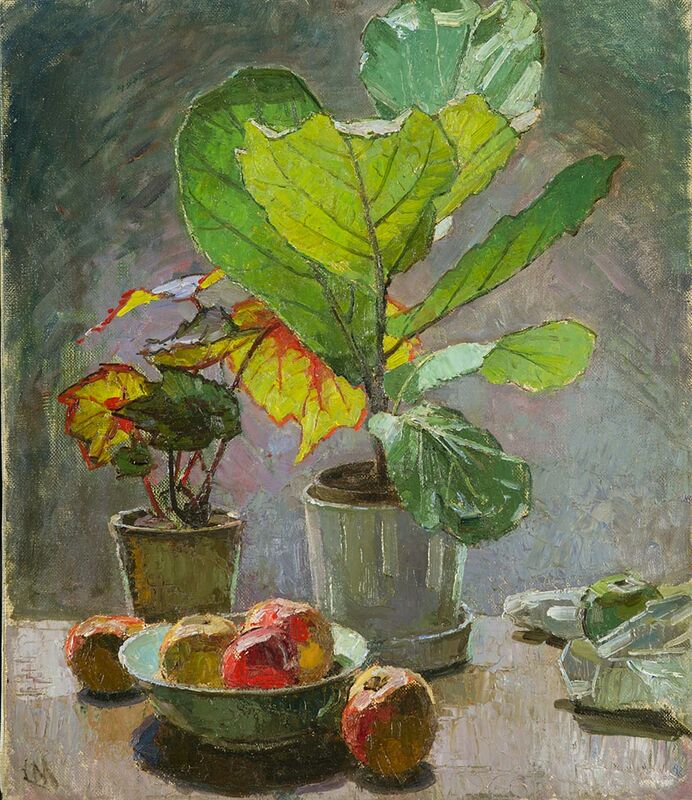 He studied as a private student with Carl Haunold and under Christian Griepenkerl at the Viennese Academy.1897 he was one of the co-founders of the Vienna Secession. He was the head of the Galerie Miethke and also a sponsor of Klimt. He organized exhibitions of international artists and among other things, brought works from Vincent van Gogh to Vienna for the first time. Moll was known for his large format color lithographs and woodcuts. 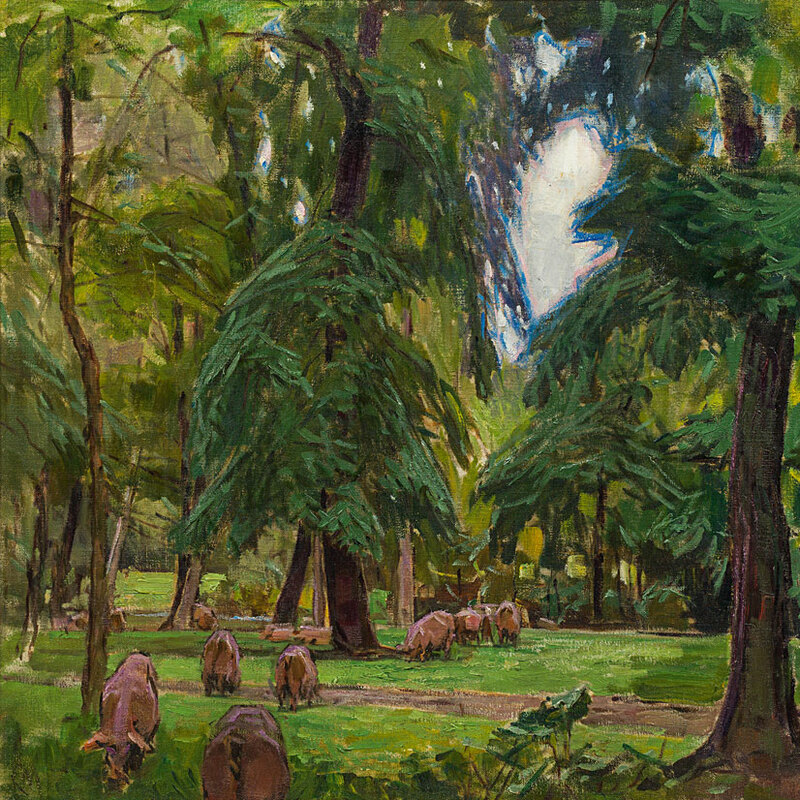 The style of his landscapes increasingly changed from the spatial painting of the Secessionists to more spatiality, in the later years he approached more and more Expressionism. In 1931 he received the Golden State Medal and became an honorary citizen of the City of Vienna. 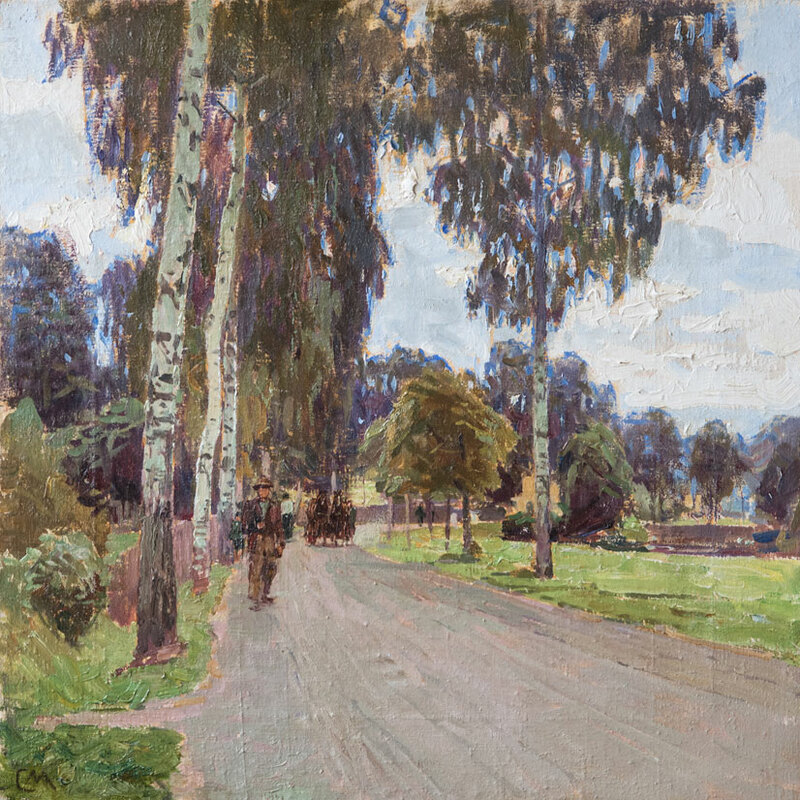 Carl Moll passed away on the 13th of April 1945 in Vienna.